Alright guys and ghouls, we're sure you know that a party isn't complete without a great menu. To help you serve up a smorgasbord of scary eats, check out this list of Halloween themed recipes. 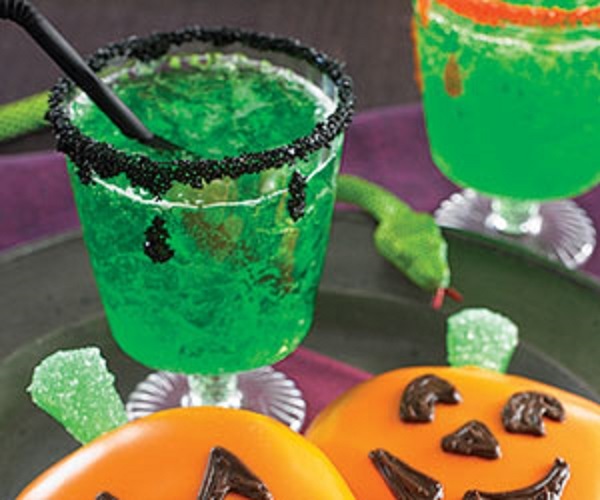 From spooky snacks to creepy cocktails, we've got you covered! 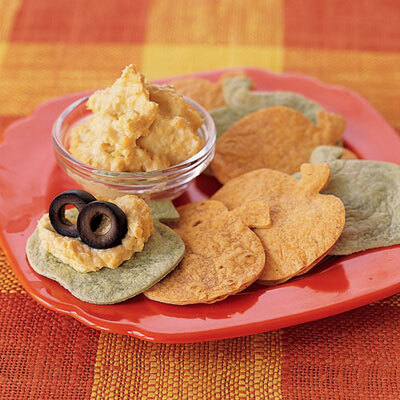 Chips and dip are a no-brainer, so consider spicing up this party staple by making your own Halloween-shaped chips! Simply trim tortillas with a cookie cutter of your choice, then season and fry or bake. We love these pumpkin shaped chips from Good Housekeeping. Once you make your chips, you'll need something frighteningly tasty to dip them in. 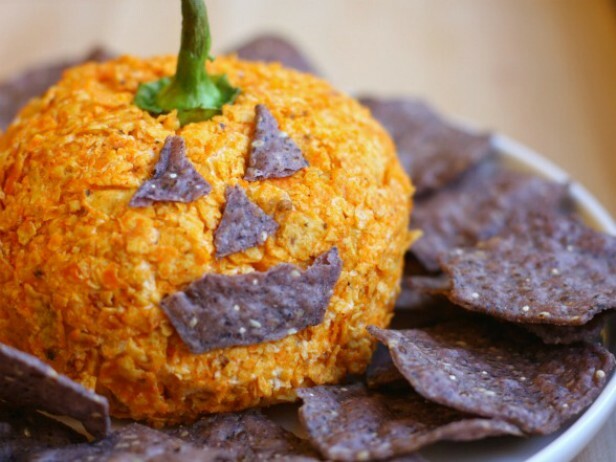 Try this nacho Jack-o'-lantern cheese ball from Cooking Channel TV! 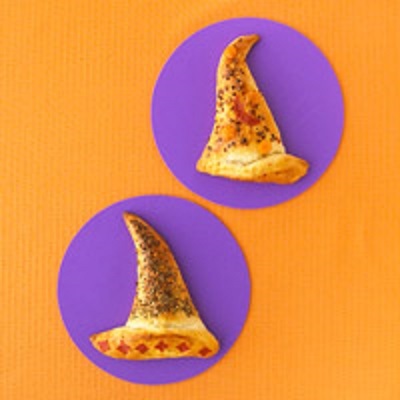 These witch hat calzones are not only delicious, but super easy to make- no magic required! Packaged crescent roll dough is the secret behind the signature hat shapes. Find the full recipe from Better Homes & Gardens here. We can't put our finger on what makes these chocolate covered pretzels so delicious. The perfect combination of salty, sweet and so, so very gross looking. 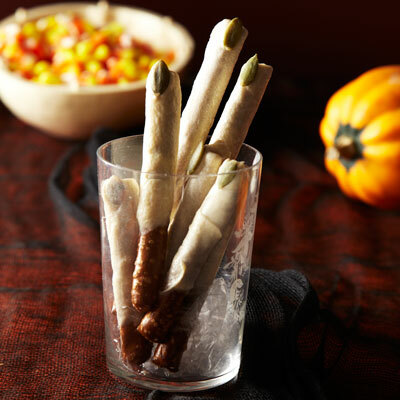 Check out this spooky fingers recipe from Good Housekeeping. Everyone knows mummies make the best cookies. 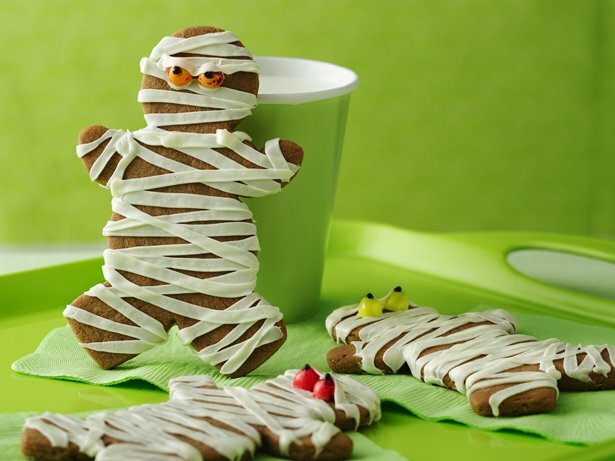 That's why these chocolate mummy cookies from Betty Crocker are the perfect addition to spooky soiree. 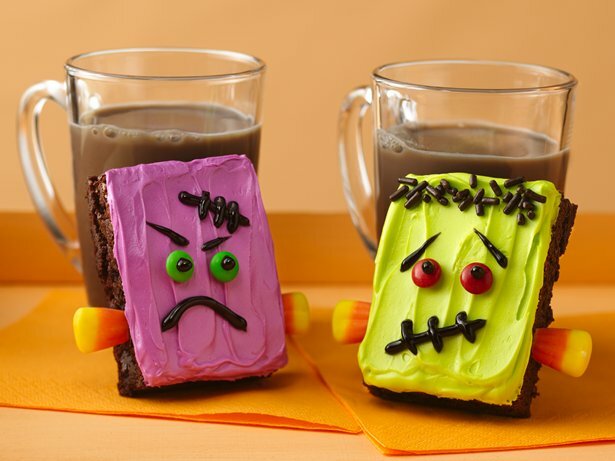 Frankensteins young and old will love these monster brownies, also from Betty Crocker. Watch as guests come alive and run to the treats table! This "Screwed Up Screwdriver" concocted by the folks at Martha Stewart is sure to put guests under a spell. 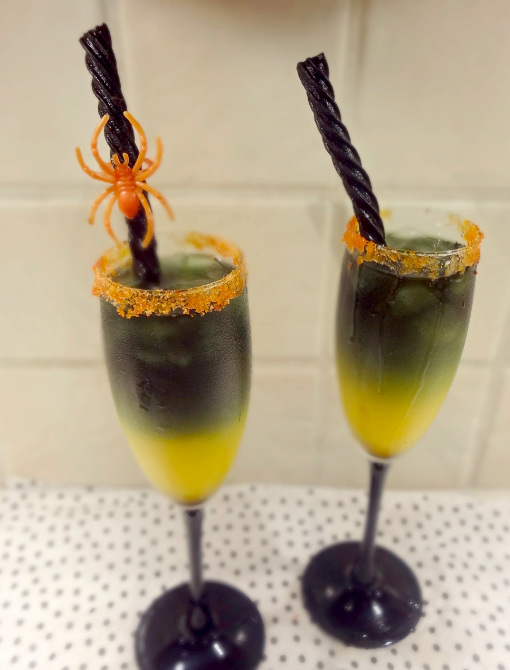 Black vodka and orange juice are the culprits behind this creepy drink. If you're feeling particularly gruesome, you can serve up drinks in this "blood-dripped" martini glass, shared by Hostess with the Mostess Blog. Will your party be crawling with little creatures? If so, this kid-friendly green goblin punch will surely be a hit. Trick, treat, sip and eat! These are just a few of the awesome Halloween party food and drink ideas out there. 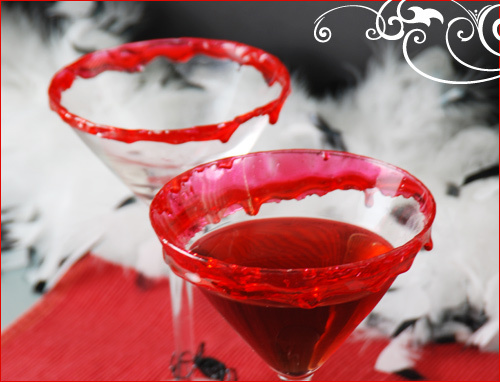 With the perfect menu and great entertainment, your guests will have a ghastly good time!